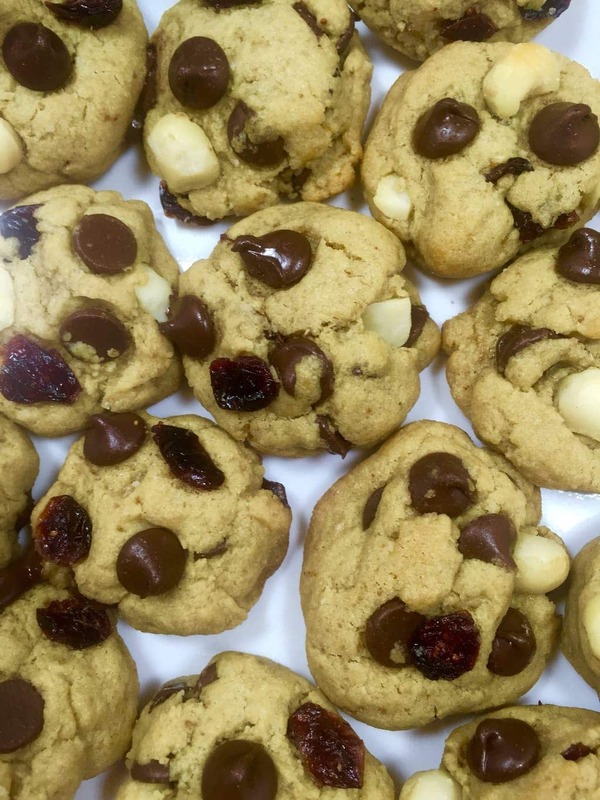 Neiman Marcus Cookies are famous for a lot of reasons. They’re delicious of course, but rumor has it that they sold their recipe some years back for $250 to an unsuspecting customer who simply asked for the recipe. Not sure if it’s true or not, (and actually I think I heard the same thing about Mrs. Fields cookies). Anyway, the customer was so angry that she was charged for the recipe with no recourse to get her money back that she decided to print dozens of copies and give them to all her friends. Of course, the recipe eventually went viral. 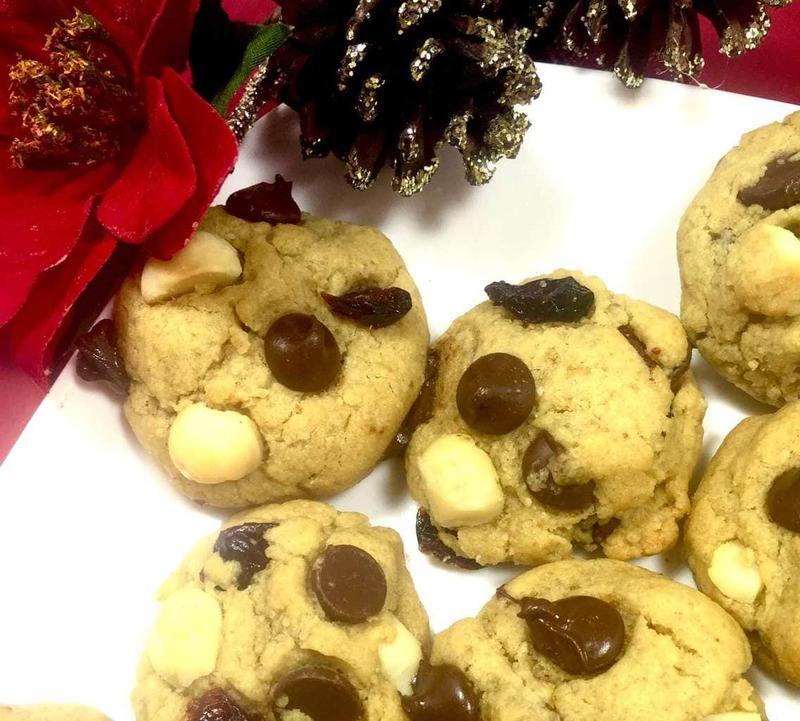 And today there are lots of Nieman Marcus Cookie recipes out there – all of them a little different. So I thought I’d join in the fun and add my own touches. Cranberries and the Holidays just go together, so I thought that had to be an ingredient. Then, chocolate chips of course. 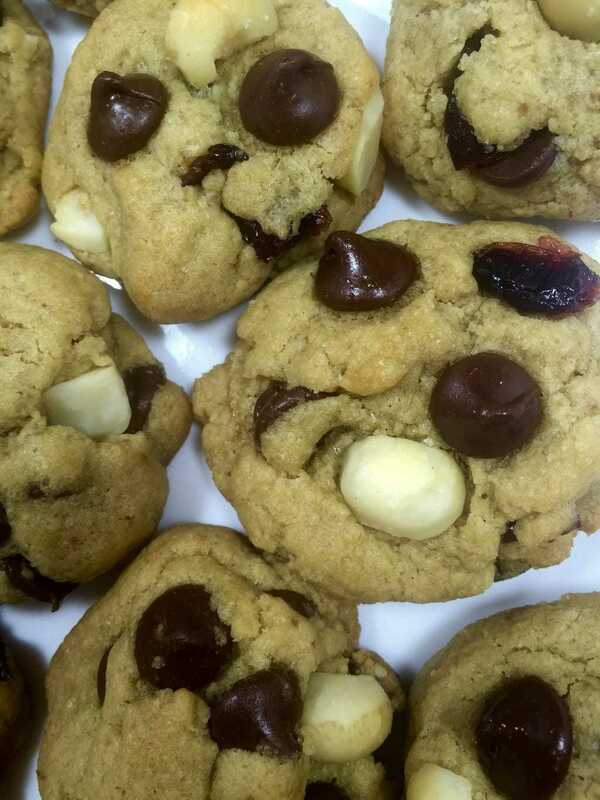 And what is a chocolate chip cookie without macadamias to make it extra special? I cut down the sugar, because I thought it was too sweet. But I left in all the butter. I figure, if we’re going to indulge, go for the butter. The result is a luscious cookie, packed with all kinds of wonderfulness. In medium bowl sift flour, baking soda, baking powder and salt. In large bowl cream butter with both sugars until mixed thoroughly. Add egg and vanilla and continue beating to incorporate. Add small portion of flour mixture and heat well combined. Continue slowly adding flour, beating between each addition until all flour is incorporated. 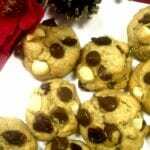 Add cranberries, nuts and 3/4 cup of chocolate chips (reserving some to decorate cookies) and fold into the dough. Add a heaping tablespoon of dough to prepared baking sheet and continue adding cookie dough to sheet spacing approximately 2” apart. Press remaining chocolate chips randomly into cookie dough. This step is really optional, it just really makes your cookies more attractive. You could also reserve some of the cranberries and nuts as well and press into the dough.